This recipe came about when I needed to feed a group of people, all with different eating restrictions. It wasn't a big group, but each person had a list of "can't eats." One was no gluten, one was no dairy, one was vegan, and another had a shellfish allergy. That's a long list of things you can't eat! Luckily, all plants were fair game and that is a lot to play with. I made these burgers (with gluten free burger buns) and everyone raved. I knew it was a success when even the people who had no food restrictions asked for the recipe. 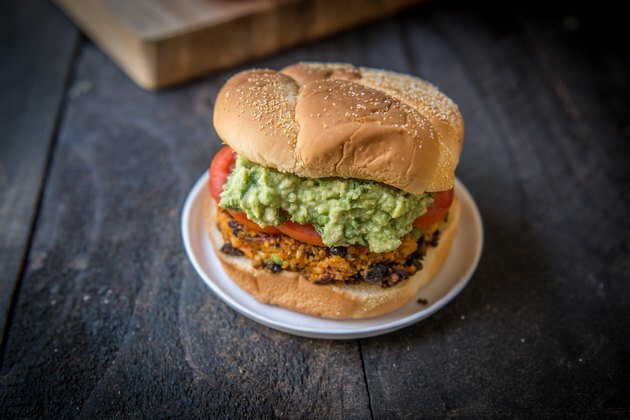 This burger that will satisfy everyone from your picky eaters to your meat eating friends! 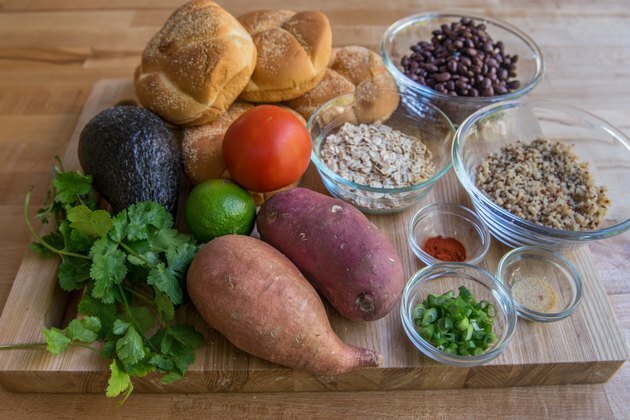 Peel and chop the sweet potatoes, then add to a baking sheet. Drizzle with olive oil. Bake for 25-30 minutes or until very tender when pierced with a fork. 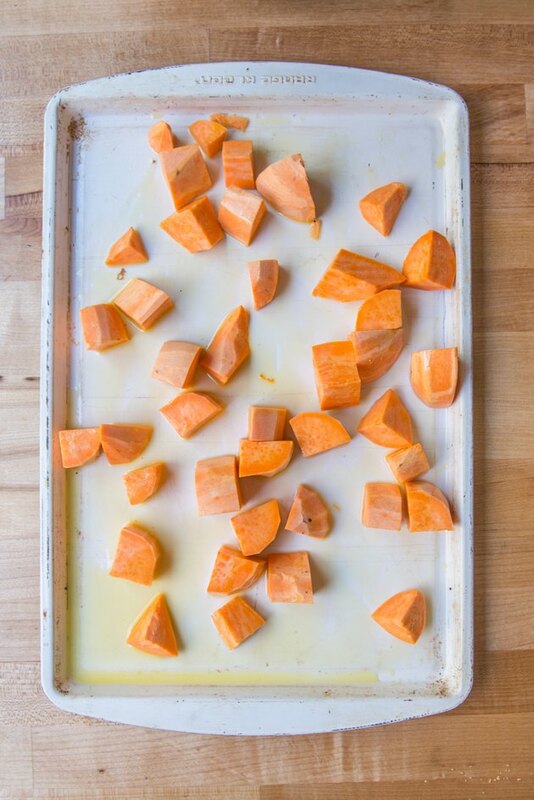 Add the sweet potatoes to a large bowl along with the oil that is on the baking sheet. Mash until well pulverized. 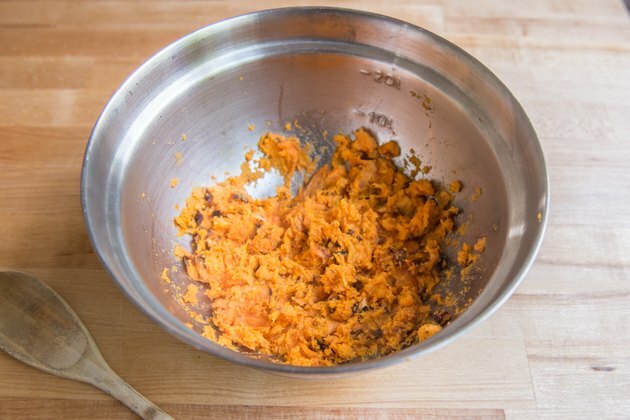 Add the oats to a food processor and process until crumbs remain. 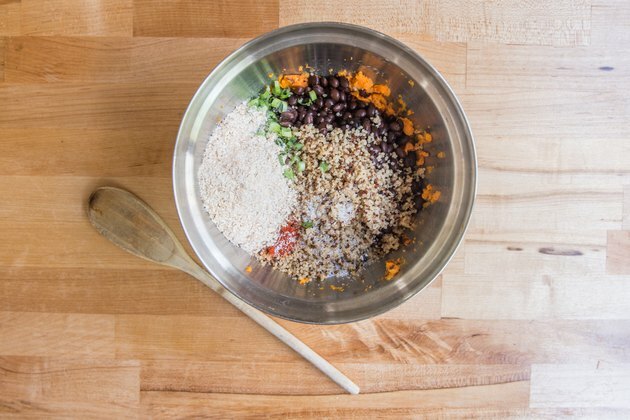 Add the quinoa, black beans, garlic powder, smoked paprika, green onions, oats, 1/2 teaspoon salt and 1/2 teaspoon pepper to the sweet potatoes bowl. Stir until well combined. Get your hands wet with warm water and form 6 patties about an inch thick. Add a thin layer of oil to the bottom of a sauté pan and allow to heat over medium-high heat until shimmering. 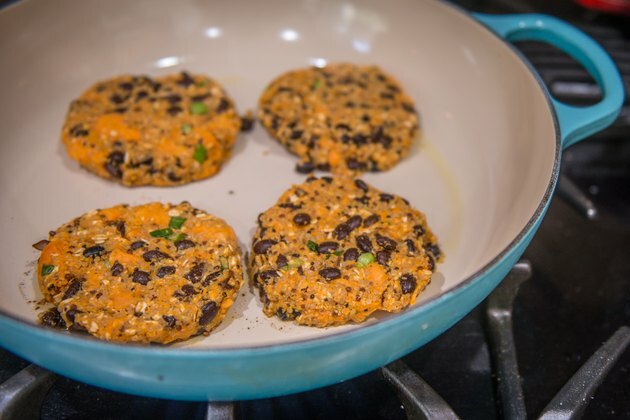 Add the patties, cooking until browned on the underside before flipping. Add more oil as needed, not allowing the pan to become dry. Want to make this in advance? 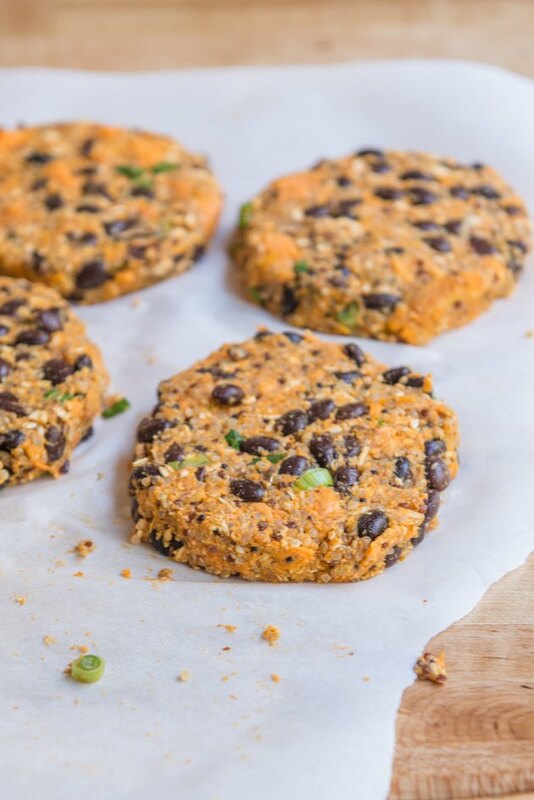 Just store the patties with parchment paper between the layers in an air tight container in the fridge for up to 3 days before cooking. 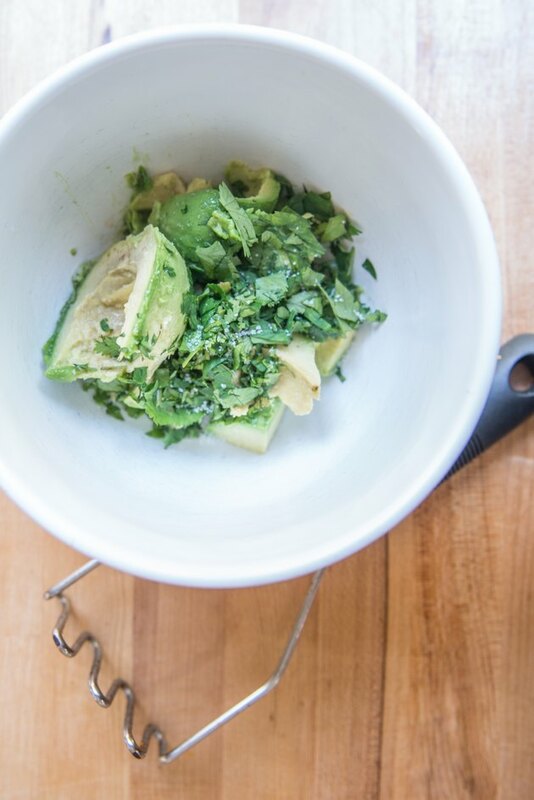 Add the flesh of the avocado, the remaining salt and pepper, cilantro and lime juice to a bowl. Mash with a vegetable masher until well combined. 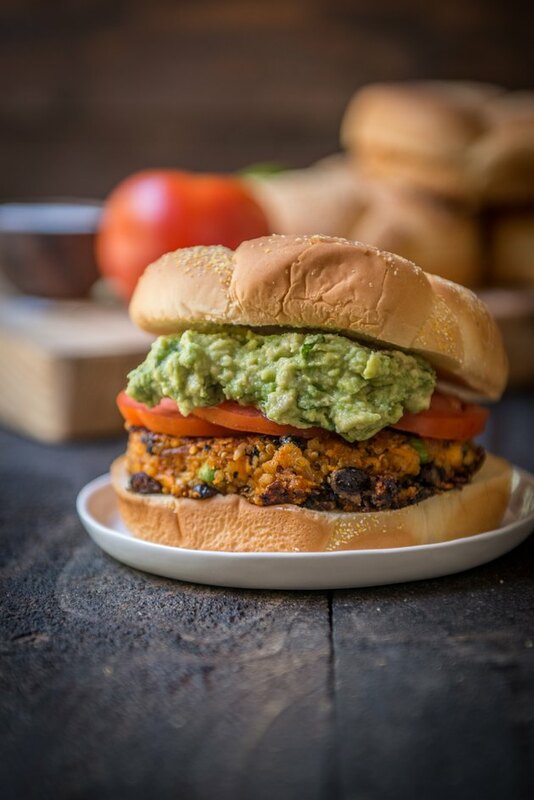 Insert the patties into the buns, and top with tomatoes and guacamole. Serve immediately. Enjoy!